Sometimes, there's no other choice but to do anything just to survived because not everyone of us has the same fortune to live a good life. These is reality in this world, people will do anything to feed the painful stomach like what happened to this story. 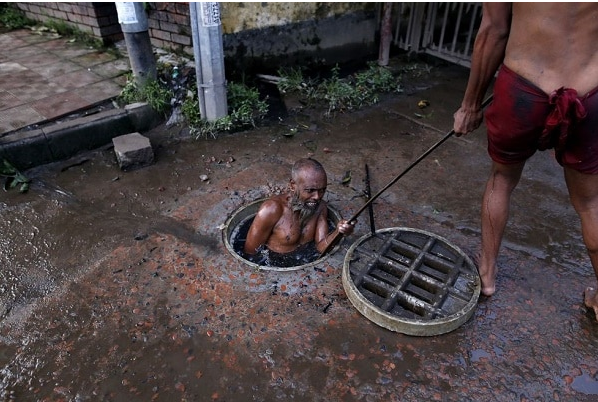 A man from Bangladesh risk their lives to clean and unblock drains of sewage and get paid for $8 a day. This sewage workers in Bangladesh doesn't mind dangers while dipping into the dirty manholes around the city just to provide service to the largest city of Bangladesh. Without them, the city will submerged to flood after heavy rains that would worsen the problem. The cleaner spend most of their time diving down into the tiny manhole without protective gears - filled with sludge that mixed with the city's dirt. The worker will go down the hole, holding their breath and start to deep search for the waste that causes the sewage to clogged. 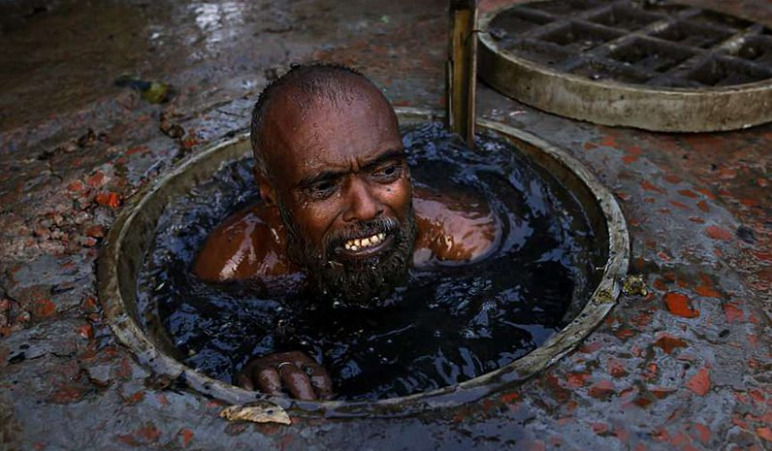 Report said that roughly hundreds of sewage workers die in Bangladesh every year due to drowning and health problems.